Considering the gold rush around peer-to-peer currency Bitcoin, it’s not surprising that one of the hackers at the Disrupt NY hackathon created an application around the currency. Pay With Bits was to be a Square for Bitcoin. The startup essentially allows Bitcoins to be transfered between parties via their mobile phones. The idea is the brainchild of Cody Byrnes, Prateek Gupta, Jon Bardin, Ben Daniel, Brett Mascavage, and Brad Smith, director of engineering at RadiumOne. The original idea came from Byrnes, a Developer at COG1 Interactive in San Francisco. 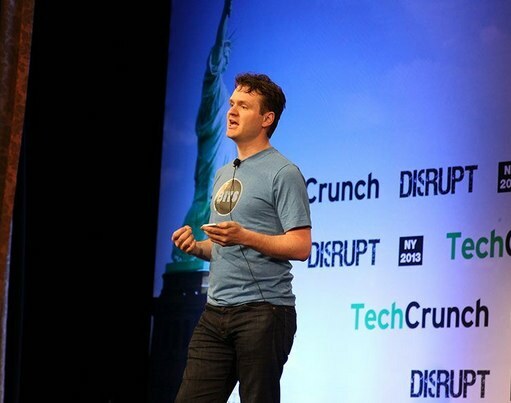 Smith sold his startup Focal Labs, which launched at TechCrunch50, to RadiumOne in 2011. The rest of the team (Prateek, Cody, Jon, and Ben) developed FreshTag.me in June of last year. Smith explains that the team wanted to find a way to make Bitcoin accesible to the masses. You simply enter your Bitcoin account information on Pay With Bits, and you can send money via text message to any other party who also has entered their info on Pay With Bits. Pay With bits serves as a node on Bitcoin network, Smith adds. Smith says that using Pay With Bits, Bitcoins can be transferred internationally in a secure way within minutes. Because there are no interchange charges from a bank or credit card, Pay With Bits only incurs fees that are a fraction of a percent. In the future, Smith wants to add NFC capabilities as well. Pay With Bits adds to the growing number of startups in the Bitcoin world, including BitPay and Bitinstant.